Is anyone looking to make a cute, cheery, and SNUGGLY handmade gift for a baby or little one to love and adore? If so, stay tuned for the Puppy and Bunny Lovey patterns I'll be posting for free on my blog in the next few days! Both patterns are fun, quick, and easy to crochet for the familiar beginner. It's also a breeze to modify and make unique. 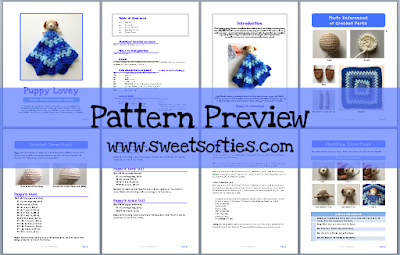 I will be including customization tips in the pattern posts, so be on the lookout for that too! Update: Here is the puppy lovey pattern, and the bunny lovey pattern! There's also the option of having the pattern in a beautifully-formatted and easy-to-read PDF file complete with photo references! Click here to purchase the files. 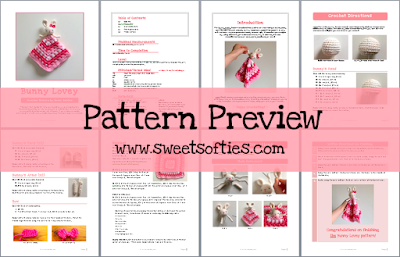 Click here for the Puppy Lovey PDF pattern! 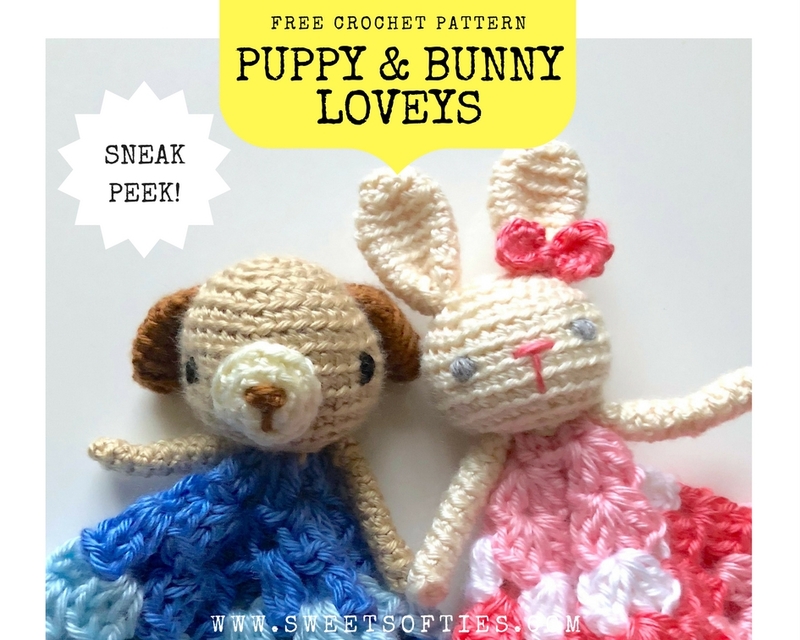 Click here for the Bunny Lovey PDF pattern! Also, you are more than welcome to SHARE this post with any fellow crocheters who'd like to try this pattern!